The Janka Hardness Scale is a test to rate the relative “hardness” of a wood flooring. 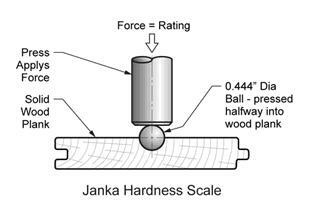 The Janka rating is given in pounds-force (lbf) by measuring how much force is needed to embed a standard sized steel ball halfway into the wood. Flooring manufacturers use this rating to predict a flooring’s ability to withstand denting and wear. How can I use the Janka scale to help me pick the right hardwood floor? Choosing Hardwood flooring for your home is a big choice, and we want to help you make the right choice. It’s a big investment for any family, and you want to be sure you make the right selection for your specific needs. If you have kids or pets you already know how hard they can be on flooring. In that case, you’ll want to choose a wood flooring with a high Janka rating such as Brazilian Cherry with its 2350 rating. Or depending on the type of grain that appeals to you, you may opt for Sibu with a rating of 1600 or Oak with a rating of 1260. When you visit one of our stores, let your salesperson know where the flooring will be installed and what kind of wear and tear it will be subjected to. They will explain what the Janka Rating numbers mean and which hardwood flooring will best suit your situation. The “best choice” will often be determined by the right mix of look, hardness, and price. The finish and proper care and maintenance can also be a big factor in the longevity of your new floor, more on hardwood flooring care here. The Janka scale should only be used as a guide for comparison purposes; there are a lot of factors to consider when choosing a hardwood for your home. For instance, how the hardwood manufactured and finished makes a very big difference in its durability rating. Engineered flooring is a good example of this. The wood layers along with the core of the board all work together to make a tough, durable product with a Janka rating higher than the original species of wood on its own. 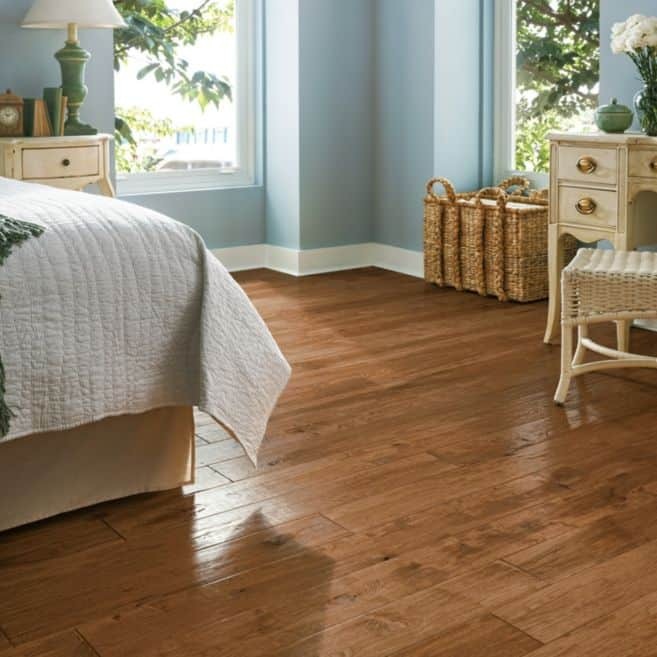 Scratch resistant finishes also increase the floor’s durability. 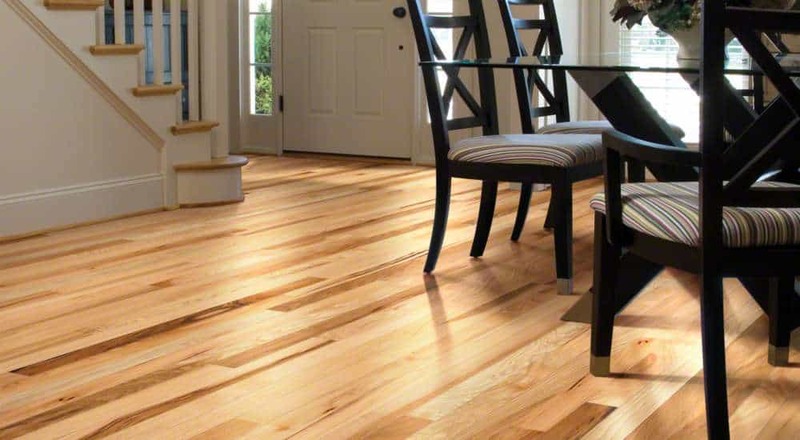 Unsure about the differences between solid hardwood flooring and engineered hardwood flooring? Read about the difference further here. White pine sits at the bottom of the Janka scale, with a rating of 380. You may find this species in some very low-end furniture, but it is generally considered too soft to use for home furnishings and finishes. We at Carpet and Tile Mart don’t sell anything with a Janka rating less than 1260. Whether it is solid hardwood flooring or engineering hardwood flooring that you decide to install into your home, make sure that you are okay with all the aspects of the product so that you will remain in love with your flooring for years to come.